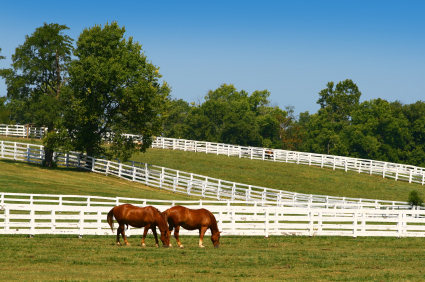 Kentucky, known as the Bluegrass State, is famous for being home to some of the finest thoroughbred horse breeders in the nation. The rich soil produces lush blue-tinged grass that is ideal for raising premium livestock and thoroughbred racehorses. It is also home to the Kentucky Derby, which is the first leg of the prestigious Triple Crown of horse races. Kentucky bourbon is famous throughout the world for its distinctive smoky flavor, and several famous distilleries are located within the state. If you plan to move to Kentucky soon, you should look into the car insurance requirements before you relocate. You don't need to pay too much for your coverage just because you are new to the state. Comparing policies through an online quote system will give you a better idea of what kind of prices and coverage to expect in your new state. Existing Kentucky residents can also benefit from comparing online car insurance quotes at least once a year. Common changes in your age, marital status, where you live, where you work, and how many miles you drive can have a huge impact on your insurance rates. Even if you're satisfied with your current insurance company, it is in your best interest to research how your rates could change as your life changes on a regular basis. The maximum amount for all economic loss is $10,000, regardless of the number of covered persons injured. New Kentucky residents have 30 days to transfer their out of state driver's license and only 15 days to transfer any vehicle registrations once they become residents. The only exceptions are college students who maintain residency in other states and military personnel who are not permanently stationed in Kentucky. If you are not sure of your status, contact the Circuit Court Clerk's Office in the Kentucky county where you live. In most of the state, you can complete your driver's license transfer at the Circuit Court Clerk's Office for your county. In Louisville, there are five separate branches that each performs different functions. The Bowman Field branch is the only place where you can take a written or physical driving exam in Louisville. You can perform all of the other necessary application requirements at any of the five locations in Louisville, however. If you have lost your out of state driver's license or your license is expired, you will need to take the written exam and eye exam before you can receive a Kentucky license. The written exam is based on information available in the driver's handbook, which can be acquired at any Circuit Court Clerk's Office branch or you can download it from the Kentucky state website. You will also need to present a driving record or a clearance letter from your previous state when you apply for a new Kentucky license. Kentucky is a member of the National Driver Register, which lists all offenses from each state regarding driver's licenses. If your out of state license has been revoked or suspended by your previous state, the same revocation or suspension will be honored by Kentucky. You will need to finish serving out your suspension period and complete any necessary community service or other requirements in order to have your license reinstated in your home state before you can apply for a Kentucky license. You can be issued an identification card, but you cannot be issued a valid driver's license. Out of state drivers need to present their out of state licenses as one form of identification if they do not want to go through the entire process of applying for a brand new license instead of a transfer. If your driver's license does not display your legal name, you will need to provide a copy of your birth certificate as proof of identity. Your application also needs to include your social security number and proof that you are a legal United States resident. You will need to present proof of Kentucky residency as well. Kentucky residency can be proven through a pay stub, mortgage paperwork, or a utility bill that shows your name and address. In order to transfer the title and registration of your vehicle, you will need to present the current out of state title with your legal name and information on it. You will also be required to prove that you are in the United States legally and that you are a resident of Kentucky. The application includes proof that the vehicle is insured by a car insurance company that operates legally within the state, and you will need to present proof that your car has been inspected properly. Photocopies of the vehicle title will not be accepted for a title and registration transfer. If you do not currently hold the out of state title because it is under lien, you will need to have the county clerk request a copy of the title from the titleholder. You will be issued a temporary Kentucky title for 30 days while you wait for the original title to be sent to the clerk's office. You must present proof of insurance and your out of state registration before a temporary tag will be issued for the 30 day grace period. All registered vehicles in Kentucky must go through a Vehicle Identification Number inspection that can be performed by the local sheriff. The sheriff will not perform the inspection until the registration transfer form has been signed and notarized. Once you have the application properly filled out, you can take your vehicle to the local sheriff's office where it will be inspected. Once the inspection is completed, the sheriff will sign the appropriate line on your application and you will need to take the application back to the county clerk's office to complete the transfer application process. Part of the title and registration process includes proof that you have paid the appropriate sales tax on your vehicle. The proof can be provided in the form of the taxes listed on the out of state title, a financing statement from your lender, a dealer purchase contract, or a receipt from the tax agency. If you don't have any proof of taxes paid, the county clerk can apply a credit toward your Kentucky taxes for tax you would have been charged in your previous state. You will need to present your out of state registration to receive the tax credit. If there is more than one owner listed on the original title, each owner must be present to sign the transfer title. The new title must also list the social security number of each owner. If one of the owners is not available to sign the new title, they can legally appoint someone with power of attorney to sign the document in his or her place. The power of attorney documentation must be submitted with the transfer request application. All signatures must be notarized, and each individual must present photo identification to the notary as part of the notarization process. If you don't have car insurance coverage in Kentucky you are at risk of being fined for not following the proper regulations or even losing your driver's license. Most drivers in Kentucky make the smart choice and opt for having the liability insurance considering the strict laws. If you live in Kentucky, you'll need car insurance quotes and a registered drivers license to travel around the city. Others are quite keen to have car insurance for they are most protected when having one and are assured of getting compensation for any accidents to happen in the future. The written proof of your insurance coverage is also your ticket for not getting caught of driving without the necessary documents within the city. It is therefore a must to remember that getting Kentucky car insurance quotes from car insurance companies is one of the safest ways for you to take on the wheel and drive. Kentucky can generally offer you a wide range of insurance choices and companies offering discounted rates. 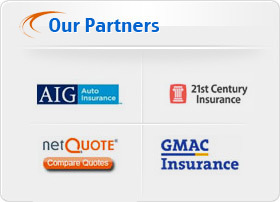 You need to choose the best insurance companies that offer you the wide possible coverage for your car. If you are not being careful, you could end up paying more than what is usually the minimum rate. Kentucky officials believe in the earliest prevention of property being damaged and lives being shattered and that getting Kentucky car insurance quotes can be the fastest and easiest way for you to find the best possible insurance coverage. The best and fastest way for you to get the insurance quote is to find the right insurance company that offers you a wide protection and insurance premium coverage. 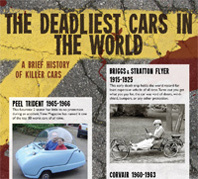 Kentucky can offer you the lowest rates possible for your car insurance. Considering the daily expenses and the high car maintenance, Kentucky insurance companies provides an affordable insurance coverage with the lowest premium rates. Kentucky implemented the no-fault policy for the residents to help lower the cost of getting insurance premiums. With this, drivers can get compensated with their medical and funeral expenses regardless of whose fault the accident is. This makes Kentucky one of the best places to look for a car insurance quote.